Well I’m back! After a very long blogging hiatus, I decided I missed it….I missed the people who comented and read my blog, I’ve missed the journaling aspect of the blog and also how it kept me inspired to work on my projects! Especially since I seem to have WAY to many WIP’s now LOL. 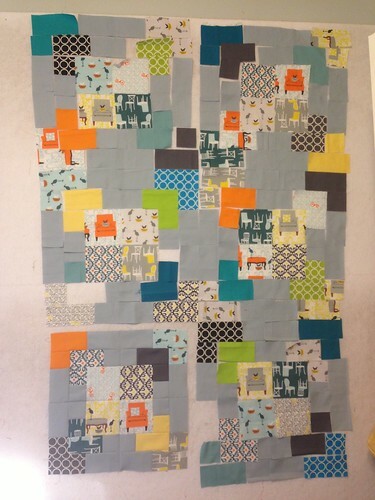 So to get back at it I thought why not start on W.I.P Wednesday brought to you by Kelly at Freshly Pieced. I guess I will start with my Farmer’s Wife Quilt. This quilt is one I have been working on since I purchased the book about 3 years ago. I keep making a few blocks, setting it aside then coming back and remaking them as my fabric likes have changed so much over the past few years! This time though I feel I really like where I’m going with this and hope to make a few each week. Hopefully third times a charm! Otherwise I also am working on several other cross stitches, a baby quilt and I haven’t even mentioned my knitting-sheesh! I need more time in the day I tell you! Anyways, if you are reading this Welcome! I hope to be here again soon and am so happy to have dusted this blog off! Look for some changes to it soon! Welcome back! 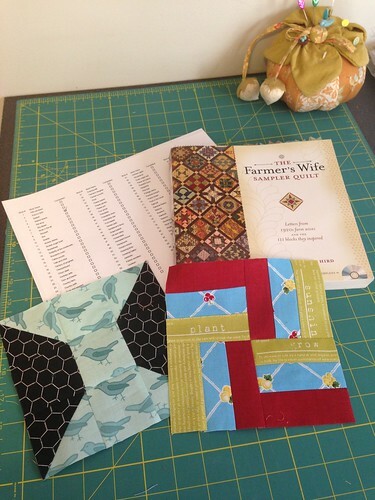 I bought the Farmer’s Wife book and haven’t made a single block. I guess I wanted to feel like part of the club. The moment passed and I missed it! Thanks Tina! I have missed my blog! 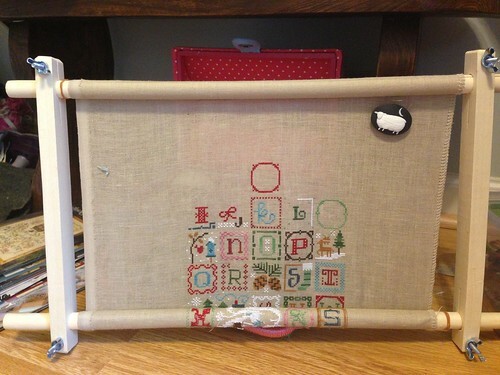 I know what you mean about the farmers wife quilt. I have started it a few times now but never have been really happy with my fabric choices until now! Thanks for reading!